Nice campground, seems quiet and clean. It is in the middle of training grounds, so hiking trails are not nearby :( There is not a Shellfield Gate, it is Faulkner Gate and only has M-F hours, no weekends and holidays. However it is the most direct gate to the camp if you can get in during open hours. Access card gets you 25% off, not 33%, but still good! We camped here in our 37' coach on the Columbus Day weekend and decided to return for Veterans Day weekend to take advantage of a MWR conducted bus ride from Fort Rucker to Pensacola NAS for the Blue Angels Homecoming. The bus ride was a fiasco but that's another story. Engineer beach is a well appointed small family camp RV park and the only thing lacking is sewer hookups. The sites are well spaced and easy pull-through or back-in with well constructed concrete pads that will accommodate even the largest RVs. The helicopter "noise" is acceptable to most but I guess can be irritating to finicky folks. A very big plus is the MWR office provided a 25% discount for our Passport America pass reducing the normally low $18 nightly camping fee to just $13.50! PLEASE NOTE: Our GPS coming in the Ozark gate had us directed to take our coach across the Lake Tholocco dam on Johnston Rd. THIS IS AN AUTHORIZED OFFICIAL VEHICLE ONLY ACCESS ROAD. 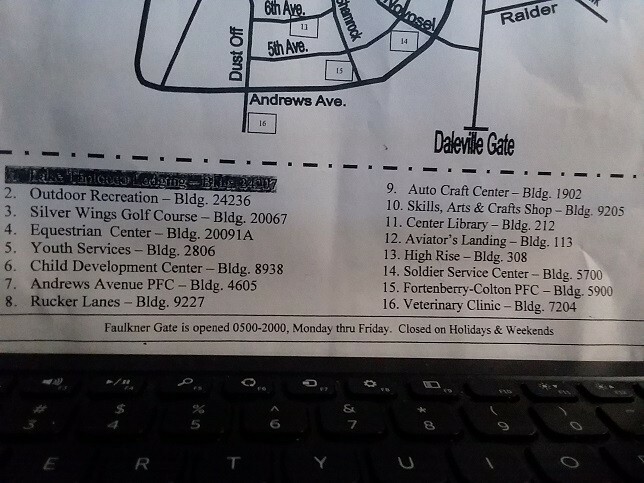 I have provided this information to Google so until this is corrected follow the directions posted on this site. We had a very nice stay at this campground in our 35' motorhome. 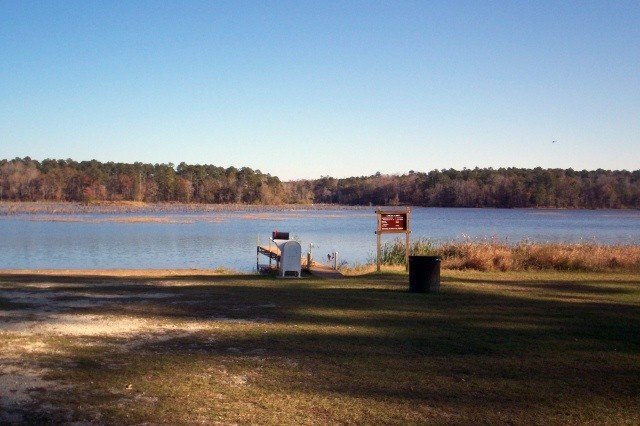 PROS: VERY large sites (many pull-thrus), beautiful lakeside property, clean showers & restroom. CONS: Noisy helicopters overhead until late in the evening (bring along earplugs & deal with it), no sewer connections - need to use dump station on the way out. One suggestion: provide signs directing campers to register at Outdoor Rec office on the way to the campground (we almost drove on by until the maintenance guy waved us down!) All-in-all, a very nice campground. We just finished a five week cross country trip from FL to CA and back in May. 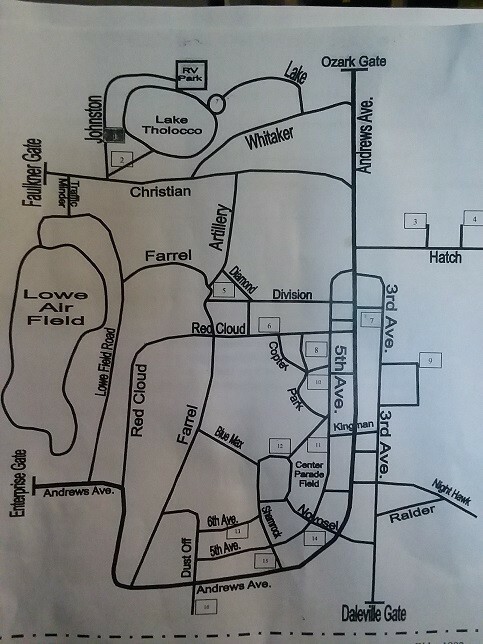 We stayed at 9 military RV parks. All are very different. We absolutely loved staying here. The RV park is located a few miles from the main part of the base. However, the views at the lake are so beautiful. The clubhouse is large and clean. We recommend visiting Fort Rucker Aviation Museum. It was wonderful and free. We will be back. D.B. left this review using the Directory software: - Did not stay at campground but did visit. Beautiful scenery and lake. Grounds clean and quiet. Next time we are in the area we will stay. T.L. left this review using the Directory software: - The present directions are quite confusing. (Ed note: the directions have been updated). Otherwise The campground was a pleasant experience. What a wonderful place! Sites were great, lake looks wonderful, laundry and restrooms clean, and everything was close by! Wi-fi was weak, good water pressure, and the base was convenient. A hidden jewel. The camp boss are wonderful, very friendly and helpful. This camp is peaceful, average size and sitting on a beautiful lake. The fire ring already had wood for a fire, the site was cement and very level. Only here one night but will surely return next year on our way to Florida. W.B. left this review using the Directory software: - The previous positive comments still hold true. The revitalized campground is very nice and big rig friendly. NOTE: They moved the office! You now check in at the marina. They just had the grand opening last weekend of their brand new office/store. They are just getting the store together, but they have fishing gear and snacks so far. Great folks, too. J.H. left this review using the Directory software: This was a very relaxing nice campground. Enjoyed going through the museum and seeing the giant spider crane etc that my husband spoke about. The bathhouses were very clean also, They are 70's 80's bathhouses ~~~BUT WAIT they are in the process of constructing the new ones now. Thanks for a pleasant visit..We will be back! H.B. left this review using the Directory software: This camp has been rebuilt top to bottom , paved roads ,new sites, wify coming soon , new bath house almost finished. From first contact with the Lake Tholocco Lodging staff and through four visits in the last 12 months, enough cannot be said. The staff is professional, knowledgeable, friendly and use their knowledge and position to be of the greatest benefit of visitors. The campsite is remote and rustic, but has excellent reception for those who wish to keep up with their soaps and other TV programs. It's approximately one mile over gravelled clay from the bath house to the paved road. It's right on the lake with all the attnedant flying, crawly and other insects - bring your bug repellants. Ozark, about 15 miles from camp has most of your RV needs that aren't available at the PX. I found quality, inexpensive tires at Roadmart Tires and the only RV maintenance facility between Dothan and Montgomery at R.D.S. Mechanical Inc. Both places provided excellent professional service. Though some find the sound of Blackhawks overhead a disturbance, it is "The Sound of Freedom" to me. 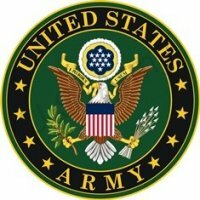 This is, for those unaware, a training base for America's warriors. If you have a problem being in the presence of young Americans preparing to fight your battles, try one of those camps out on the highway where you can listen to the roar of 18-wheelers passing by. Over-all: Ft. Rucker makes available the kind of RV experience advertised in every RV'ing media. You can't beat it! !